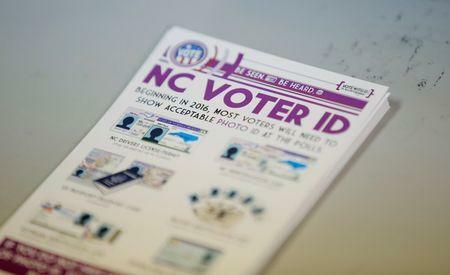 (Reuters) - A U.S. appeals court issued an order on Thursday denying North Carolina's motion to stay the court's decision last week striking down the state's voter ID law. The 4th U.S. Circuit Court of Appeals said staying its ruling now "would only undermine the integrity and efficiency of the upcoming election." On Friday, the court ruled that the North Carolina law, which required voters to show photo identification when casting ballots, intentionally discriminated against African-American residents. Attorneys for the state in a written motion earlier this week asked the court to put its ruling on hold while the state appeals to the U.S. Supreme Court and seeks to overturn the decision ahead of the U.S. presidential election in November. The court's move to strike down the state's voter ID law was a victory for rights advocates that will enable thousands of people to vote more easily and could boost Democratic presidential nominee Hillary Clinton's support in the state going into the election. 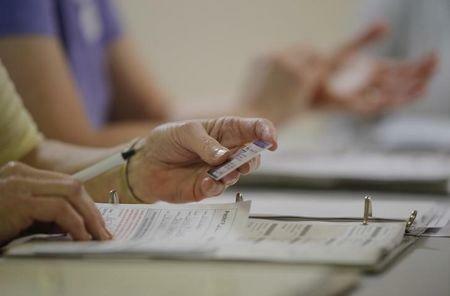 The decision by the U.S. appeals court also canceled provisions of the law that scaled back early voting in the potential swing state, prevented residents from registering and voting on the same day, and eliminated the ability of voters to vote outside their assigned precinct. The order noted that North Carolina officials already said they could conduct early voting at Board of Election offices for each county, in line with the ruling. "Finally, we observe that our injunction merely returns North Carolina's voting procedures to the status quo prevailing before the discriminatory law was enacted," the order denying a stay said.